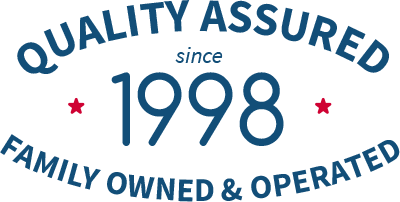 OASIS Heating, A/C & Refrigeration, Inc. provides professional air conditioning service to homeowners throughout the entire Northern Virginia area including Lorton, Alexandria, Arlington, Springfield and Fairfax. We can keep you and your home comfortable and efficient all summer long with a new high–efficiency A/C system installation. We can also ensure that you have the 24/7 air conditioning repair services you need when something goes wrong. We also offer routine tune–ups and a/c maintenance contracts. Call OASIS Heating, A/C & Refrigeration, Inc. any time for local air conditioning service. There is no shortage of options when it comes to selecting a new air conditioner. There are also numerous factors that go into such a major decision, one that you will live with for some time. One of the most popular types of air conditioning is the central air conditioner. It is widely known for its cost–effectiveness and its powerful cooling capacity. If you’re after a reliable and budget–friendly cooling system, then you may want to consider a central air conditioner in your home. How Do Central Air Units Work? A cooling system relies on the refrigerant cycle, not unlike the way that your refrigerator or freezer works. Central air units are no different, and they have several major components, including the outdoor unit that houses the compressor and condenser, and the indoor unit that houses the evaporator and the air handler. A refrigerant moves through different stages of pressure and chemical states in order to transfer thermal energy from the indoors to the outside. All components must cooperate for this system to work properly. Whether you’re having a new air conditioner installed or you want to ensure that your system is working properly with routine maintenance, A/C service must always be completed by a professional. At Oasis Heating, A/C & Refrigeration, we provide excellent air conditioner service for a wide range of A/C systems, from heat pumps to ductless air conditioning systems. When you call us for A/C service, our technicians arrive at the appointed time, ready to get work with whatever you need. We take pride in the quality of our customer service. Ready for a Ductless Air Conditioning System? If you’re in the market for a new air conditioner, then it behooves you to consider all of your options. If you want an alternative to cooling systems that use ductwork, then you may want to think about a ductless air conditioning system. 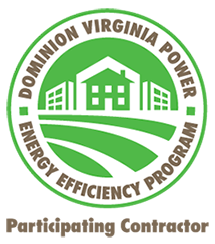 We offer comprehensive ductless air conditioning services throughout Springfield and the greater Northern Virginia area. A ductless system avoids the use of ducts by placing the indoor air handlers directly inside the living spaces, thus leaving nothing to get in the way between you and your cool air. More and more homeowners are taking advantage of this technology. If you need air conditioning installation service, call the experts at OASIS Heating, A/C & Refrigeration, Inc.. We can help you select a high–efficiency air conditioner system for a new home construction or an existing home. We can also help you choose new components when upgrading your old system. From programmable thermostats to indoor air quality equipment, we have you covered when it comes to cooling your home and keeping it comfortable and efficient.Any quality air conditioner is designed to provide ample cooling power even throughout the hottest months of the summer. That’s why it is important that you call a company you can trust to install any new A/C equipment. Call us today for your next A/C installation service. In addition to installation and replacement services, we also offer A/C repair. With our maintenance contracts, you get annual service for all major types of air conditioning systems, and our technicians are on call for emergency repairs, 24/7, if a problem should develop. Call the technicians at OASIS Heating, A/C & Refrigeration, Inc. for your next air conditioning repair service. We are available whenever you are in need of prompt and reliable A/C repair services. Day or night. An air conditioner may seem like a durable device that can last forever, but both time and use will eventually wear it down. The day will arrive when your residential A/C is either losing its energy efficiency or its ability to keep your home cool. Possibly both. You should stop worrying about repairing it and instead contact our team to arrange for a replacement unit. It’s easy to put off the need to replace an air conditioning system: make sure that it receives an annual spring time check–up and tune–up. When you enroll in our a/c maintenance program, you’ll have a regular spring inspection for your air conditioner, and also a fall visit for your heater. There’s no better way to keep your comfort system in tip–top shape. You can enjoy central air conditioning without a massive network of space–hogging air ducts. A ductless mini split system removes ductwork from the equation and sends conditioned air straight into your living spaces through wall–mounted air handlers. These ACs are a good alternative to consider for new home construction, remodeling, add–on rooms, and for old houses without space for ducts. Whether you want to schedule routine A/C maintenance, or you need a new air conditioner, call the air conditioning service experts at OASIS Heating, A/C & Refrigeration, Inc. You can improve the efficiency of your entire home by going green and installing a high–efficiency air conditioning system. We are here to help you find cost–effective solutions for your cooling needs and help you select a system that matches your home. We also provide upgrades and installations for supporting equipment, such as programmable thermostats. For air conditioning service, call the experts at OASIS Heating, A/C & Refrigeration, Inc. today. We will ensure you have everything you need to remain cool and comfortable all summer long.